“We need to remember what’s important in life: friends, waffles, work. Or waffles, friends, work. 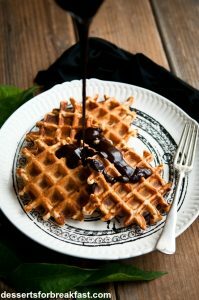 Doesn’t matter, but work is third.” Leslie Knope, aka Amy Poehler from Parks & Rec, had it right: waffles are begging for our attention. Yes, we respect the plain, well-made waffle. 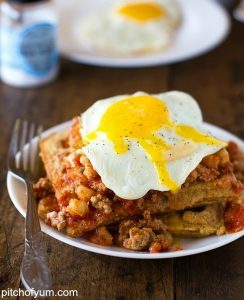 Crunchier than pancakes, but so fluffy. Their flat shape and deep square crevices implore us to fill them with delicious, syrupy toppings. 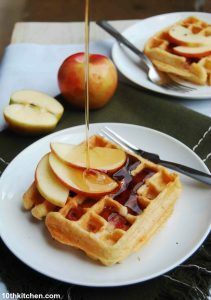 Of course, fresh fruits are at home atop waffles too, but unexpected flavors work their magic even better – cornbread, pumpkin and even hot fudge. 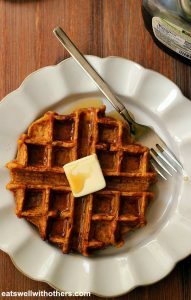 If you’re ready to ditch the Bisquick and give Mrs. Butterworth what she desires, check out these 4 waffle recipes that are sure to deliver sweetness, spice and everything nice. Part of a delicious breakfast is following a sleep routine that allows your body to feel refreshed during the day.